As the last of the great pre-Victorian era Romantic poets, John Keats wrote in the oft-quoted "Ode to a Grecian Urn," "Beauty is truth, truth beauty-- that is all/Ye know on earth, and all ye need to know." Keats was sensitive, passionate, contradictory and daring both in his life and his work. And even if John Keats hadn't have been officially labeled as a Romantic poet or if you consider his poems "a strain to work out" as his sweetheart Fanny Brawne admitted, his ability to transform words into an impressionistic literary painting of love make it easy to understand why filmmaker Jane Campion would gravitate towards Keats for her long-anticipated return to filmmaking. 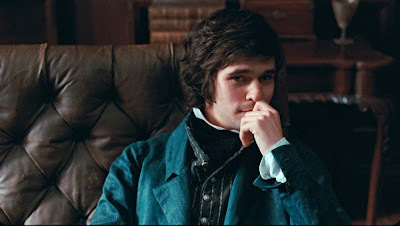 Much like Keats (Brideshead Revisited actor Ben Whishaw) would confess to feeling as though he was "dissolving" in his love for seamstress Fanny Brawne (Abbie Cornish) who lived next door, Campion creates a sensuous feast of a film to dissolve in as well. 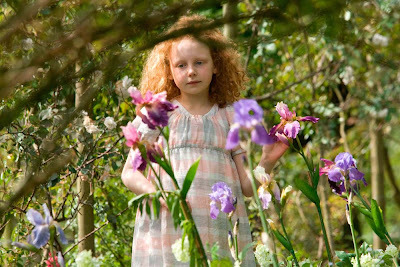 Although on the surface, Campion's ongoing experimental quest to use nature as subtext to address the feelings her characters cannot share verbally may seem ill-suited for a film about a poet whose phrases have become part of our culture. Yet, it's a surprisingly effective technique for Bright Star. For, while poetry and discussion of the process is used throughout the work, Campion's film goes against what is expected in a traditional biopic by centering her film purely on the chaste but all-consuming ill-fated three year romance between Brawne and Keats before his untimely death from tuberculosis at the age of twenty-five. Instead of trying to add to history's ongoing study of Keats, Campion remains in the realm of her expertise by investing the most time and attention in the point-of-view of strong women. To this end, Australian actress Abbie Cornish who'd already impressed me with turns in Candy, Elizabeth: The Golden Age, and Stop-Loss is as intensely passionate as The Piano's Holly Hunter and driven to the same level of extremes in her emotions as Kate Winslet was in Campion's Holy Smoke. 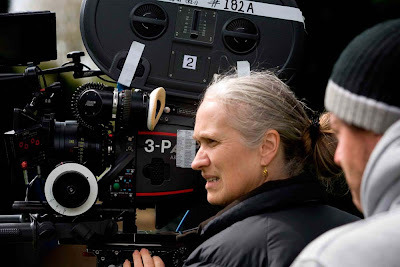 And despite the fact that she smolders alongside a beautiful Ben Whishaw, she easily overpowers him with her skill and intensity in every scene. Although this could've possibly been a direction made by Campion to illustrate Brawne's effect on the poet, the only actor who's routinely able to hold their own opposite Cornish is Paul Schneider. Sure to be in contention for a Best Supporting Actor Oscar nomination, Schneider, who is usually given sidelined but effective supporting roles in movies like The Assassination of Jesse James... and Lars and the Real Girl finally reminded me just why he commanded my attention opposite Zooey Deschanel in All the Real Girls. 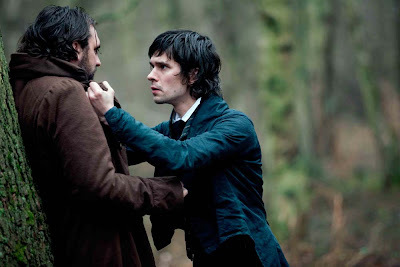 In Bright Star, he creates a riveting, endlessly complicated portrait of Keats' best friend, his Scottish collaborator Charles Brown who openly accuses Brawne of being nothing but a flirt and tries to prevent their infatuation since he views the woman as either unworthy, a drain on his friend's talent, or a rival for Keats' affection. Drawing from Andrew Motion's 1997 biography Keats, writer/director Campion's Bright Star is at once her strongest yet most subtle film since The Piano by using character driven emotion as the driving force for the entire plot and therefore breaking down the usually stuffy walls of period pieces like Whishaw's Brideshead Revisited to make us feel as though we're in the midst of the all-consuming love affair as well. Thankfully avoiding the same Avant-garde interpretation which ruined her adaptation of Portrait of a Lady, she's made an inviting yet intoxicating reverie about an unlikely human connection between an early nineteenth century pre-feminist fashionista and the penniless poet who-- thinking himself a failure-- was therefore an unsuitable marital match for the woman he adored which made them both miserable in love. Employing the gifted cinematographer Greig Fraser and editor Alexandre de Franceschi for some bold and intoxicating sequences that may test the patience of audience members who are still dizzy from the rollercoaster of flashy CGI summer movies with cuts that only last for two seconds at a time, Bright Star contains some of the most unabashedly sincere and genuine sequences of true romance brought to life in years. Without removing a single article of clothing and most of the time, never away from the watchful eyes of Fanny's younger brother and sister who accompany her as makeshift chaperones, Campion reminds us that sexuality and sensuality is the most effective when it's withheld. Thus, since she refuses to change the important facts, Campion won't rewrite history and manages to make us swoon along with characters who refuse to go against the social mores of the time and have to find other ways to express their desire such as placing their hands on the opposite side of the same wall at night, Keats requesting that Brawne kiss thoroughly a letter so that he can feel her lips, sleeping with a handwritten "good night" note under his pillow, or the Brawnes' turning Fanny's room into a butterfly museum after a letter he writes inspires their quest. 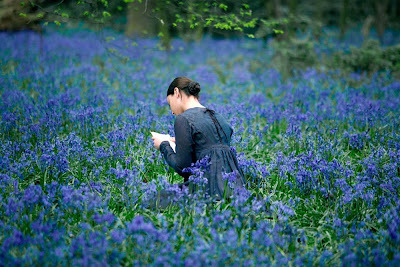 Although further research reveals that there's an ongoing debate as to how one or two-sided their relationship may have been or what exactly transpired, Campion's Bright Star which is named after the poem that Keats had written for Fanny Brawne (which is referenced in the film) is a gorgeous, naturalistic, and seductive piece of filmmaking wherein "beauty is truth" indeed and that's "all ye need to know."